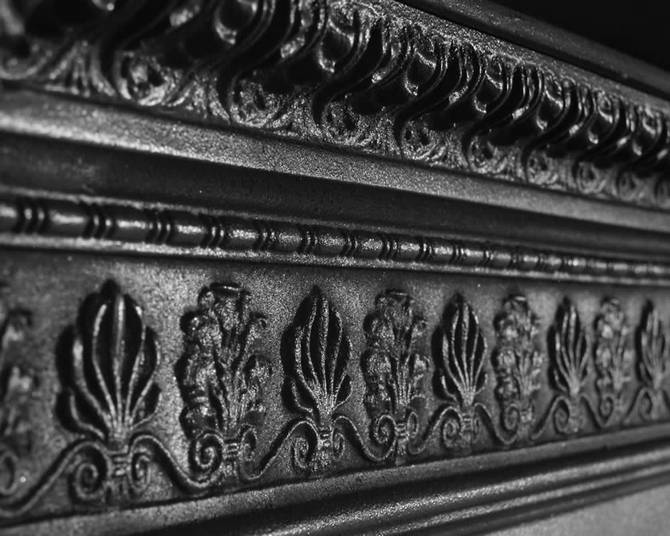 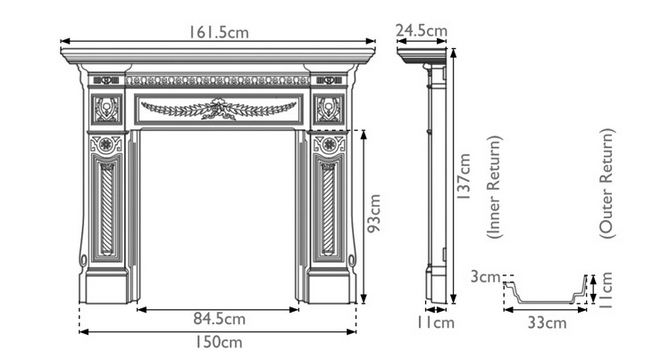 The Holyrood is a bold cast iron fireplace surround, combining intricate designs with a stern frame to create a memorable feature. 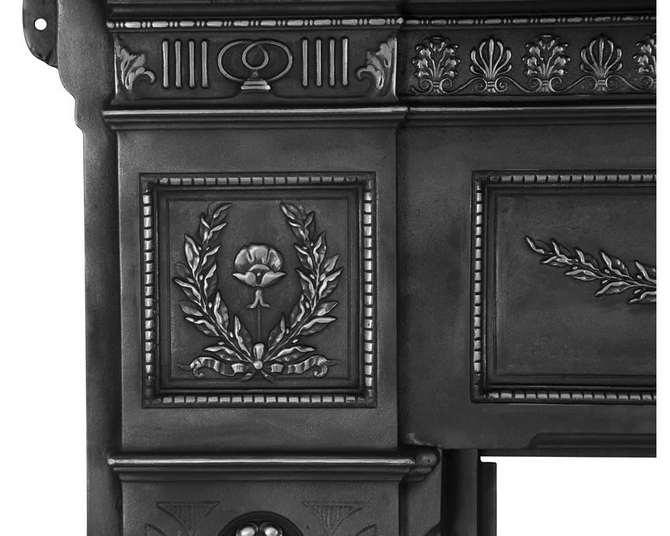 A twisted rope detail protrudes from the length of the frame's legs, which are topped with a flower pendant. 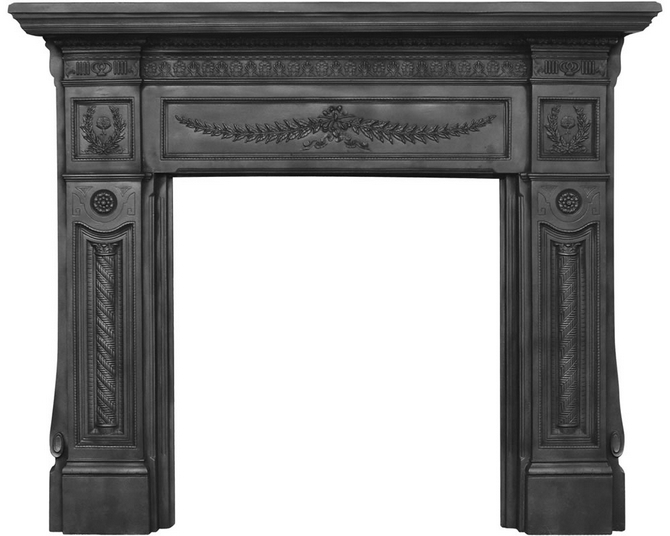 The mantel itself commands attention with a classy berry and branch shaping atop a smooth finish, which is positioned beneath an alternating flower and crown pattern.